These delicious cuties are laser cut from 1/8 inch thick wood, hand painted and backed by nickel free surgical stainless steel posts. They measure 0.5 inches wide by 0.65 inches tall. Always handmade in the USA. 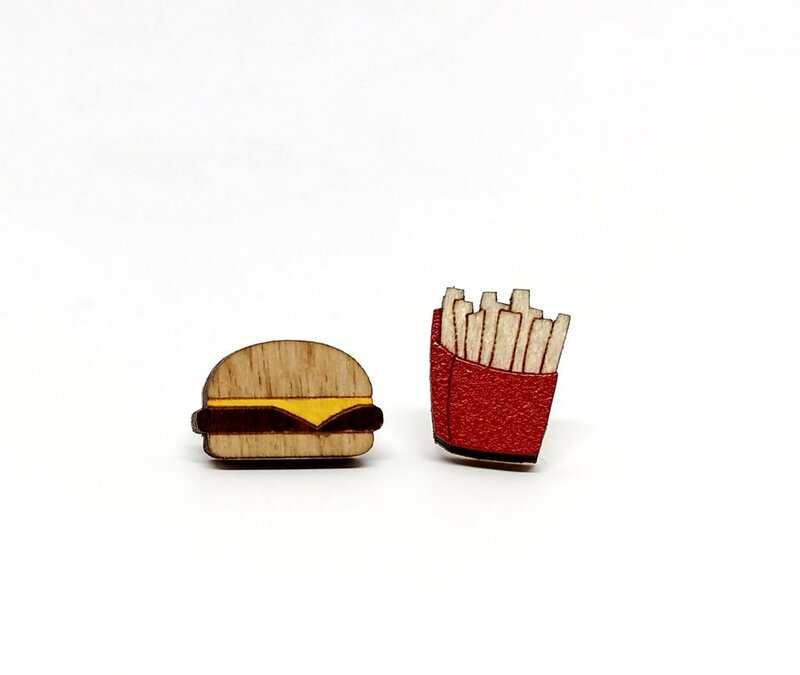 Better get yours now before we eat all the fries!Unpossible Cuts was created by two San Francisco East Bay artists, Domingo Daquioag and Philip Eggleston. Both veterans of the local art scene, they decided to start their own gallery in 2008 called “Everybody Get Up”. The gallery’s goal was to showcase new and emerging artists while also making art affordable to everyone. With their gallery knowledge, creativity, and passion for art Unpossible Cuts was born. Their laser cut designs are their own, inspired by iconic imagery and featuring designs from up and coming artists. As the artist’s like to say, “We MakeFun” – that is the mission of Unpossible Cuts.